1lb fresh shrimps, not frozen. Large, deveined, but with shells intact. 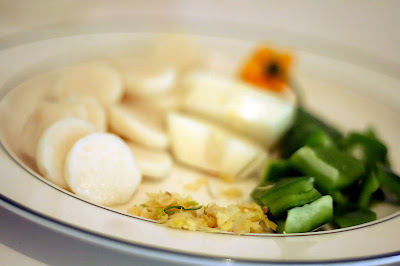 2 cups mixed vegetable of your choice, I used water chestnuts, onions and sweet pepper here. Pinapple works well. 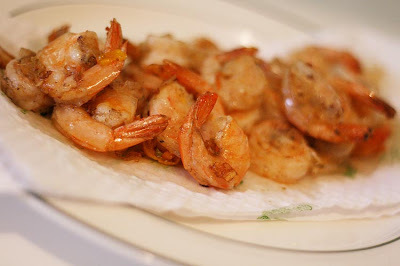 Season shrimp with salt, 5-spice powder, hot pepper, white pepper and vetsin. Marinate for an hour or 2. Heat 1/2 cup cooking oil in your trusty wok until smoking. 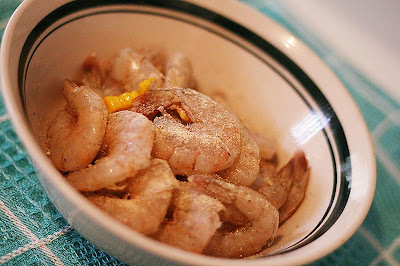 Throw in shrimp and the ginger and garlic into the wok. Cook shrimp over high heat for a couple minutes on each side. 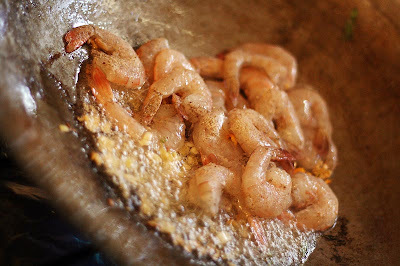 Remove Cooked shrimp from the wok. 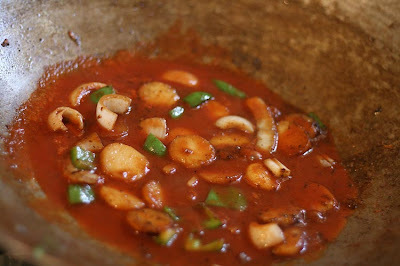 Remove most of the oil from the wok and add vegetables, salt, sugar, a dash of white pepper, and rice wine. Stir fry for 2- 3 minutes. 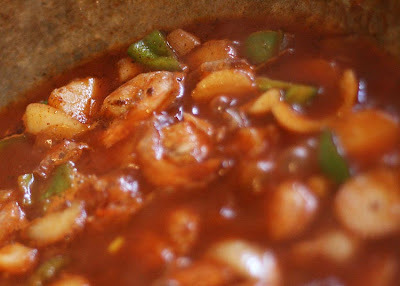 Add tomato paste and 1/2 cup water, bring to a simmer. 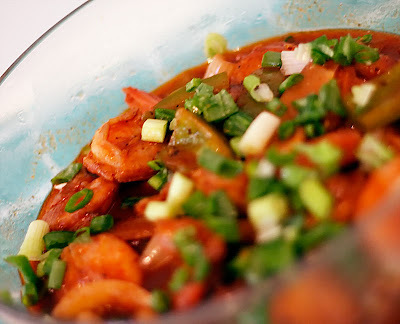 Place the shrimp back into the wok and simmer for a few minutes. 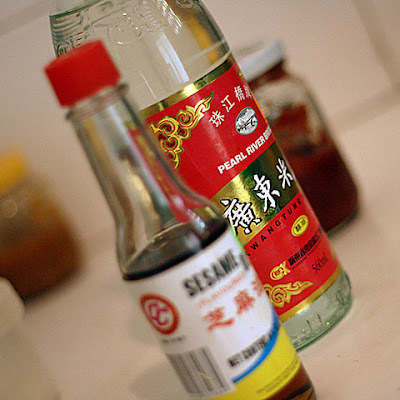 Turn off heat and add a few dashes of sesame oil. 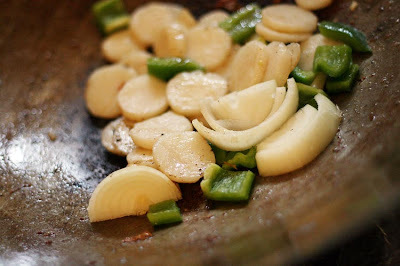 Remove from Wok, garnish with chopped chive. Done. Serve over a bed of Chow noodles or next to it as the case may be. Kill me dead the motion blur in that pumpkin pic from quincy last post was a new standard for the blog. Great stuff, man. I woulda say it makin mih hungry, but I just eat. What kind of camera do you use, and what settings do you use for that focal effect? Look who trying some chow noodles and well..maybe some pepper boneless chicken today!! pics are great btw! Kayode, I used an SLR for the shots, a Canon Rebel. With a 50mm lens. The aperture was a wide open f-1.8. The camera did all the work basically. i will try my best not to dash my camera in the bin along with the scraps from them dishes. AH WANT AH SLR!!!!! ah goin an try dat with a seafood mix fuh the lockdown weekend. 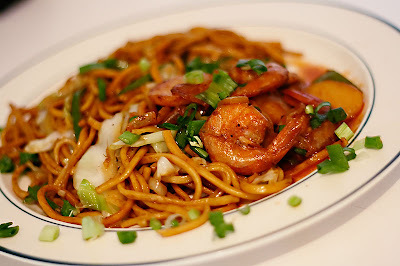 I eh no Shrimp fan VIX, as a matter of fact, I cant eat it but this dish look real tasty. I have to get my hands on some rice wine and five spice powder.